Searching within your Tweets can never be easier than this. 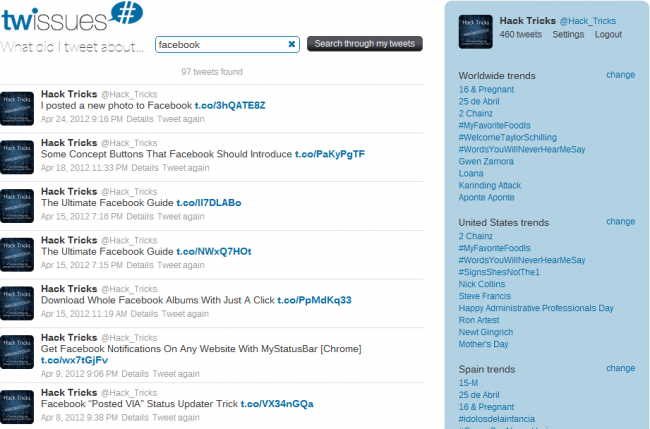 Twissues, a web service can easily search a tweet you posted. It just asks you to authorize your Twitter account and then asks for your E-mail and you are all set up. It just takes fractions of a second to build its index and then you can search with any word you wrote in your tweet.